It’s a sunny day, everything is going well, all those lessons are paying off and you’re skiing like a dream, flowing down the slope, it feels like you’ve cracked it. Customary celebration drinks in the evening. Next day, you wake up and it’s snowing. You don your bad weather kit, put your goggles on and head out to the slopes. By the time you exit out of the first gondola or dismount the first lift your googles are like a fish bowl that’s not been cleaned for a month. You can’t see a thing but set off anyway. You’re stumbling around the slopes like a beginner. Hitting ice, lumps of snow, bumps. You feel like you’ve gone back years. Someone flies past without a care in the world in perfect control as though it’s a perfect bluebird day. How? 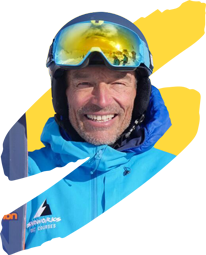 Phil Smith from Snoworks gives his top tips of keeping clear vision whatever the weather. Don’t cut back. 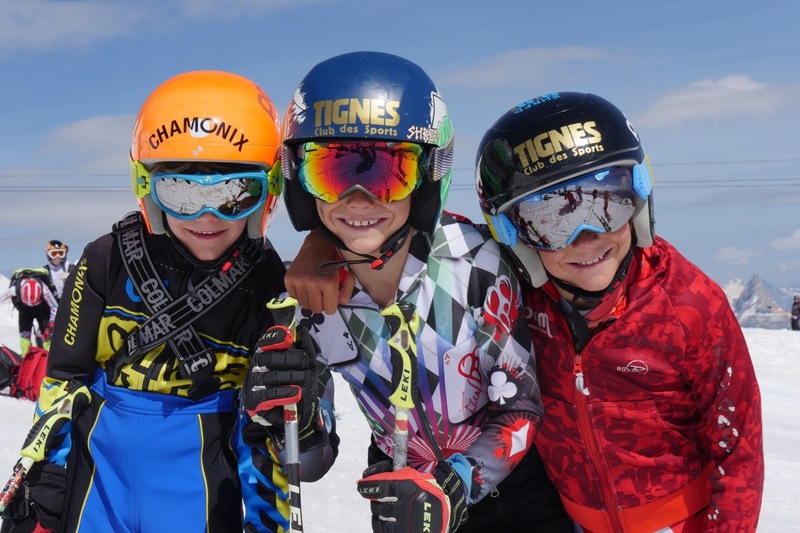 Skiing holidays and lessons are expensive. Don’t go for a cheap set of goggles get the best you can. Maintain airflow. No airflow and the mist descends. Think about your car windscreen. As soon as it mists up you stick on the air to the windscreen, hey presto, gone. Goggle lenses get scratched. No matter how much care you take they will get scratched. Always try to have replaceable lenses. Putting on a brand new lens after you’ve been skiing around in scratched lenses is like waking up to a new world. Get a few different colour replaceable lenses. I use clear and mirrored blue tint. My two favourites. The blue tint for brighter days and when it’s snowing heavily I use a clear lens. The tint is up to you. Whatever colour you like to see the world in. Bright colours like yellow do not work for me, too much glare. I prefer a softer colour. An absolute must. Do not buy any goggles without a goggle bag. I have hundreds. You can normally buy the bags by themselves so make sure you have spare ones. When the goggles are not on your head make sure they are in their bag. Do not leave your goggles lying around on the restaurant table or stuck in the cuff of your ski boots in the locker room. Disaster. I’ve seen £250 goggles strapped to a helmet lying around on the floors of locker rooms. Don’t dress up like ‘Scott of the Antarctic’. Collars turned up, zips done up, scarf wrapped around, buffs pulled up, woolly hat under helmet. Getting air in to the goggles will be like breaking into Fort Knox, impossible. You need air on your face and you need air in the goggles. Fog is formed when two temperatures compete against each other. Hot and cold. Ideally the temperature inside the goggles needs to be similar to the temperature of the goggle lens. This is critical in understanding fogging. When warm air comes into contact with a cold lens it will fog. The temperature of your face is vital. You face is a heater. It can go from cold to hot to overheated. When your face gets hot it heats up the air inside your goggles, when this warmer air meets a cold lens it gives up heat energy to equalise the temperature of the two surfaces. This forms mist on the inside of the lens. As the lens mists up it’s easy to become more agitated and the face heats up even more, a vicious cycle. You need to remain cool. Your face has to be like the air conditioning of your car. You need to be able to control it. In the event of a fall or tumble, take your time gathering yourself together. Don’t overheat. If in a lesson or with friends you can find yourself rushing to get yourself back together and keep up. Don’t. Less haste more speed. If you’ve failed in staying calm, cool and collected then the mist has descended. It’s too late. There’s nothing you can do immediately. It’s time to take a few minutes to cool down, reach for your backpack and dig out your spare googles. Another expensive pair just like your first. I have the same goggles but with different lens colours. Putting on another pair of googles when snowing is an art in itself. Step 1, take some time to cool off. Step 2, take off your misted goggles and stick them into your backpack inside their bag. Step 3. Get your spare goggles and when removing them from their bag keep the outside lens facing the snow. You do not want to get snow on the inside of your goggles. Step 4 place the lens over your face then hook the strap around the helmet. Not the other way around. You must do everything to keep the inside of the lens dry. If all has failed, you’ve overheated and the goggles are all steamed up then it’s time to take some time out. If you’re with friends or in a lesson arrange to meet them on the next run. You need to dry out the lenses, gather yourself together, cool yourself off, regroup, then start over again. Last but not least along with all the tips above try some anti-fogg wipes. There are many on the market, some work better than others. I’ve not used any myself but plan to test some out this coming winter. ‘Defog It’ appears to have a good reputation, check out the video by clicking here. The more your you get used to all the tips above the easier it becomes. The tricky bit is avoiding overheating. Learning anything new requires energy and the energy used converts to heat which in turn converts to fog on the inside of the goggles. In a nutshell invest, take care and stay cool. On all Snoworks courses we teach how to perform in bad visibility. Click for courses.